Nothing screams America more than cold beer, pickup trucks, and freedom, and nothing celebrates these things more than country music. Taking its roots from old school folk music and throwing in a little cowboy flair, country has become the soundtrack of the American South, with its heart located in the legendary music city of Nashville. Country music combines simple harmonies with various string instruments like guitars, banjos, and fiddles, forming songs that can evoke a wide range of emotions. This is one of the qualities for which country music is so celebrated; it has the ability to create melancholy ballads or uplifting, singalong jams that are a perfect accompaniment to a cloudless summer day. Country music provides the perfect tunes for cruising down the highway with the windows open and sun shining down on you. As far as live shows go, when you have country mustic tickets expect the crowd to be belting out every word while arm in arm with their neighbors, swaying back and forth to the beat and raising their beers in the air. So grab your best flannel shirt, 10-gallon hat, and cowboy boots and head on out to a country show! Taylor Swift, Jason Aldean, Blake Shelton and Miranda Lambert – these contemporary country and folk musicians have folk concert tickets selling out like hot cakes. Putting on a new twist to the much-loved genre, these stars, along with many others have helped develop country and folk music over the years. Folk music and country music sound a lot similar to each other. The melodies and the storytelling lyrics are common to both genres. Most musicians amalgamate these two genres to create their own unique mix. First Generation: This part of country music’s history emerged around the early 1920s. Atlanta’s music scene played a major role in launching the earliest country artists of this time period. The first family of country music, The Carter Family, also emerged during this period. Second Generation: This part of country music history defines the 1930s and 1940s, when the radio became a popular source of entertainment. During this time, cowboy songs which had been recorded previously in the 1920s were popularized by Hollywood films. Various renditions of the new genre began to gain popularity with the infusion of jazz and boogie. Third Generation: The 1950s – 1960s were referred to as the third generation of country music’s development. Starting at the end of World War II, this period saw the introduction of bluegrass at the Grand Ole Opry. Gospel music also continued to be a popular infusion element for country music. After a slight decline in the traditional country music’s popularity, a crossbred genre was born, known as country rock. Fourth Generation: The 1970s – 1980s saw the development of outlaw country and country pop, with roots in folk music and soft rock. Singer John Denver released a series of highly successful songs with the amalgamation of these styles evident in them. There were also noted attempts to combine punk and country music, pioneered by the likes of Jason and the Scorchers. Fifth Generation: During the 1990s, country music became highly successful, with its reach going out far beyond the US. Garth Brooks and Alan Jackson were some of the big names of this time period with the Dixie Chicks being one of the most popular country groups of the early 2000s. 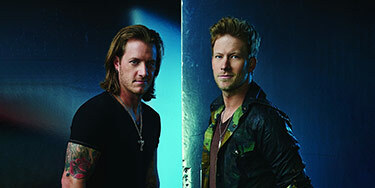 Sixth Generation: With the likes of Carrie Underwood, Lady Antebellum, Florida Georgia Line and Taylor Swift, this generation of country musicians is highly popular among the younger age groups today. The influence of rock music on traditional country styles has become more evident. Hip-hop has also been infused with country to create the country rap genre. Taylor Swift: The evolution of Taylor Swift is evident from her musical journey. Starting out at the age of 14, Swift initially released country and pop mix songs such as “Love Story” and “You Belong with Me”. Her music eventually started developing a stronger feel, with singles such as “Blank Space” and “Bad Blood.” Swift’s sixth album, Reputation was released in 2017 and the lead single from it, “Look What You Made Me Do” saw the rise of the ‘new Taylor’. With multiple Grammy Award wins and countless honors under her belt, Swift is one of the biggest music stars in the music industry today. Taylor Swift will be performing at the Rose Bowl in Pasadena on 18th May 2018. 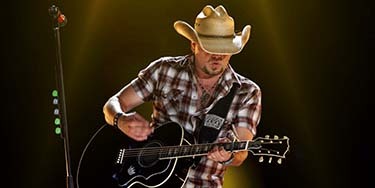 Jason Aldean: The Georgia based singer is known for his works such as My Kinda Party, Night Train and Old Books, New Dirt, among others. 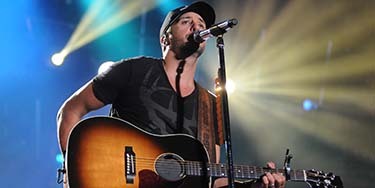 Through the course of his career, he has had 19 of his singles reach number one on the Hot Country Songs or Country Airplay charts. Aldean has won and has been nominated for multiple awards throughout his career. Jason Aldean will be performing at the Jones Country Fair in Monticello on 19th July 2018. Willie Nelson: Shotgun Willie, released in 1973, helped Willie Nelson achieve new heights of fame that few in the country music genre had previously reached. This album was followed by other successful works such as Red Headed Stranger in 1975 and Stardust in 1978. To date, Nelson remains one of the most respected and recognized artists in the country music genre. Willie Nelson will be performing at the Celebrity Theater in Arizona on 3rd January 2018. Blake Shelton: Making his debut with the hit single “Austin”, which spent five weeks on top of the Billboard Hot Country Songs chart, Blake Shelton is the epitome of modern country music. In addition to being a singer-songwriter, Shelton is also a television personality and was named the Sexiest Man Alive by People magazine in 2017. Blake Shelton will be performing at the BOK Center in Tulsa, Oklahoma, on 15th February, 2018, alongside Brett Eldredge, Carly Pearce and Trace Adkins. Shania Twain: With more than a 100 million records sold, Shania Twain is without doubt one of the best selling artists of country music. She has been given the honorific title of “Queen of Country Pop”, thanks to the widespread popularity of her albums, The Woman in Me, Come On Over and Up! With multiple Grammy Awards to her name and countless other honors, Shania’s music has been truly groundbreaking in the country music realm. Shania Twain will be performing at the Tacoma Dome in Tacoma on May 3rd 2018. In addition to the above, lots of other artists are gearing up to perform for their fans in the upcoming months. These include Dustin Lynch, Florida Georgia Line, George Strait, Miranda Lambert, Eric Church, Chris Stapleton, Kenny Chesney, Tim McGraw, Faith Hill, Trace Adkins and many more. If you want to catch your favorite country artists live in action, you need to get your hands on these country concert tickets at the earliest – they are expected to run out fast!